At Little Tulips Family Child Care, we believe that every day is ‘Child Day’, but on November 20th, we recognize National Child Day. 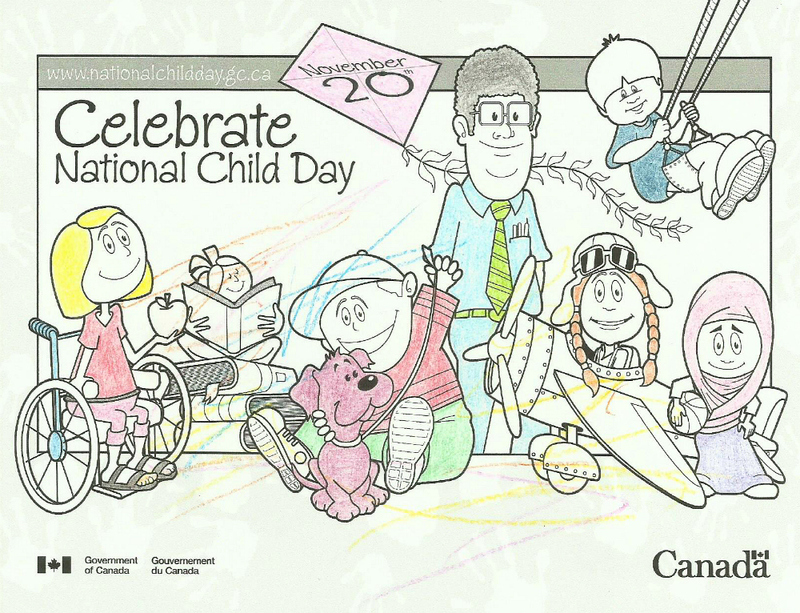 National Child Day has been celebrated across Canada since 1993 to commemorate the United Nations’ adoption of two documents centered on children’s rights: the United Nations Declaration of the Rights of the Child, and the United Nations Convention on the Rights of the Child. As parents and child care providers, we have the ability to have a direct positive impact on the lives of our children. We take this opportunity to celebrate children, and raise awareness of children’s rights! The early years last a lifetime. The first five years of a child’s life are the most critical time of growth and learning. In fact, 85% of the human brain is developed by the time a child graduates kindergarten. Research is showing that public investment in effective early learning programs produce benefits to children, families, communities and society that far outweigh the costs. The Jimmy Pratt Foundation, The Margaret & Wallace McCain Family Foundation and Memorial University’s Harris Centre have launched a discussion paper and fact sheet on Early Childhood Education in Newfoundland and Labrador. These two recent publications have sparked quite a bit of discussion among Early Childhood Educators in our province. It is upsetting to know that Newfoundland has the poorest rated early learning services in Canada. Surely, something needs to be done about that. At Little Tulips Family Child Care, we take pride in the fact that we offer a quality, licensed and regulated, inclusive early learning program that focuses on children with special needs. We appreciate each child’s uniqueness, and provide individualized attention when introducing new experiences and promoting the development of new skills. Here are the two recent publications. Please read, share and discuss! November 4-8 has been designated as the second annual Play and Learn Week in Newfoundland and Labrador. The intent of this week is to focus on the value of learning in a play-based environment, and to highlight the importance of play for children’s optimal learning and development. Schools that offer kindergarten and grades 1-3 will be participating in special events this week, and we thought it only fitting that we recognize this week here at Little Tulips Family Child Care as well, because that is what we do! We play!! We learn!! We explore!! We create!! We recognize the importance of play in the child care environment. Our role as educators is to understand child development and provide support and guidance to facilitate learning and help our children extend their play.